Nice is the seventh most populous urban area in France where located on the French Riviera in Provence-Alpes-Côte d’Azur. This city attracts visitors from around the world by a sunny temperate climate and among its beautiful beaches, lovely seaside promenade, interesting museums, and other tourist attractions. Nice is a major air transportation hub in Europe. Promenade des Anglais is one of the most emblematic and beautiful street in Nice, where is a gorgeous pedestrian area that follows the curve of the Baie des Anges beaches. This legendary seaside street is lined with planted palm trees and filled with elegant gardens. Castle Hill was built for military purposes at the top of a hill in Nice, Nowadays is used as a largest park in Nice. It’s the most famous public garden in Nice, where offers many amazing panoramas, and provides a beautiful view all day long from sunrise to sundown. 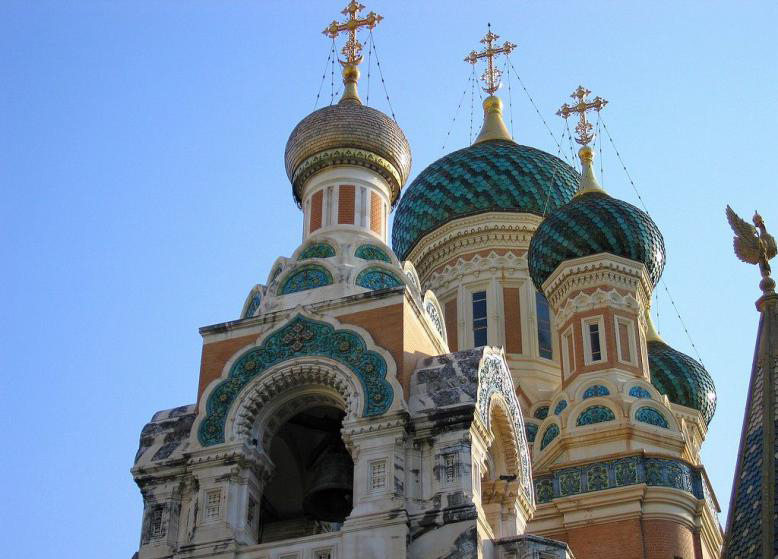 Cathédrale Orthodoxe Russe Saint-Nicolas is located in Avenue Nicolas II and Boulevard Tzarévitch, which built in 1912 by Tsar Nicholas. the Cathédrale Orthodoxe Russe Saint-Nicolas, inspired by the Muscovite style, the cathedral has a richly decorated interior with many ornamental icons, murals, and carved woodwork, as well as an iconostasis of embossed metal, is considered one of the most beautiful Orthodox churches outside of Russia.